a) “Employer” shall include all natural and legal persons employing others, with or without contract. d) calculate, declare and pay compulsory social and health insurance contributions within the time limits specified for each employee. Which wage is the social and health insurance contribution calculated upon? d) Calculation of contributions for each employee is based on the gross wage above the minimum monthly wage up to the maximum monthly wage. The gross wage is provided in the standard payroll format, which is the basic document for the identification of individual contributions. e) The minimum monthly base wage of employees for the purpose of compulsory social and health insurance contributions changes. Before starting an economic activity, and to the effect of paying social and health insurance contributions, you first register to the National Registration Centre (NRC). Two days following the registration to the NRC, the list of employees is submitted to the tax office, together with relevant wages, included in the form E-SIG 027/a “List of first time employees, re-employed employees, and job leavers”. e) Payroll is the basic document for the award and calculation of benefits for each employee as well as issuance of certificates required. b) The employer provides social and health insurance contributions booklets for employees, and fills them out on monthly basis, on the wage payment date. When an employee is sick, or taking care of a sick depending child, and this is certified by a medical certificate, the social and health insurance contributions shall, up to the 14th day of certified sick leave, be stated as if the employee has not been sick, and get paid according to the provision of the Labour Code. From the 15th day of the certified sick leave, the insured employee shall be entitled to sickness benefit to be covered with the social insurance funds. What to do to start a new business? Where to get registered if I want to start a new business? Prior to starting an economic activity and to effect payment of social and health insurance contributions, you must first register with the NRC. Afterwards, you need to present to the Social Insurance Agency a copy of the identification certificate of the taxable person. The Social Insurance Agency, based on this document, executes your registration with social insurance. Which are the time terms of contributions payment? b) Attention: If contributions are not paid in time, penalties are applied. Where and how can contributions be paid? b) After the payment of social and health insurance contributions you and the family members you are sharing work together will be provided with a social and health insurance contributions booklet by the Social Insurance Agency. “Social and health insurance payroll as well as employment income tax” – E-SIG 025/a2, placed only on the back page of the completed template’s third copy relating the declaration and payment of the social and health insurance contributions. – E-SIG 011-012/a, completed in triplicate. In addition to the mentioned templates, they also provide guidelines how to fill them out (i.e. instructions on completion of the payroll and instructions on completion of the social and health insurance contributions declaration and payment template). It is the payroll to be initially filled out, and then based on its data you ought to complete the three declaration templates. 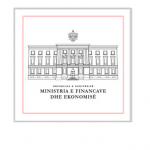 – Template E-SIG 025/a.1 – “Social and health insurance contributions payroll and employment income tax”. – Template E-SIG 027/a – “Declaration on the employees; those with first-time job, the recently hired, and the job leavers”. – Template E-SIG 011-012/a “Social and health insurance contributions payment declaration template”, to be completed in two copies, and then submitted to the bank branches or Albanian Post offices; once the amount paid is confirmed, they sent a copy to the taxpayer and the other one to the tax office. – Template E-SIG 025/a.2 – “Social and health insurance payroll and employment income tax”, placed on the back of the third copy of the declaration template. – Template E-SIG 027/a – “Declaration on the employees; those with first time job, the newly hired, and job leavers. – Template E-SIG 011-012/a – “Social and health insurance contributions payment declaration”, to be completed in three copies, submitted to the bank or post offices. Attention: The template of contributions declaration and payment, as well as the payroll and other declarations must be completed in accordance with the relevant notes to each of them. A copy of the declaration form is withdrawn to the tax offices by the entities, or downloaded from the official website of the General Tax Department: www.tatime.gov.al, for each tax period, before the declaration date. – Be careful as you print the payroll, because it should be printed on the back of the declaration template. Thus, the declaration template should enter the printer with the letters upwards; then you print payroll. At the end, there will be a declaration template with the payroll on the back and two declaration templates without the payroll on the back. The payroll comprises three consecutive months of the quarter, which are similarly completed as in the first month. Completion of the format form. You have to have in front the payroll and the form for declaration in order to properly complete it. This declaration is completed after the payroll is finished, since the data in this form will be taken from the payroll. Its completion starts after the note General Declaration. -Live in the same sub region where the possessed land is located and to have agricultural and breeding activities. The insurance as self-employed in agriculture is compulsory. The self-employed in agriculture that live in the rural area starting from 1.7.2010 and in the future can pay contributions for social insurance, once in three months, calculated on the annual base amount. The self-employed in agriculture that lives in the highlands, from 1/7/2010 and in the future can pay contributions of social insurance, once in three months, calculated in the annual base amount. The social insurance and health care contributions payment are paid together. Those are compulsory and are paid individually once in three months. The deadline for these payments is not later than the last day of the third month, within each calendar trimester. Based on point 6, of the Head IV, of the DCM No 1114 date 30.7.2008, the insurance is permitted as self-employed in agriculture for the current year, independently from the fact that you are not insured for the previous years. The insurance must start from the current year and continue in the future years, till the conditions for insurance are reached. To pay contributions for the past periods, the calculation is done by the contribution amounts of the respective years, on which the respective fines are applied. The low amounts of the contributions payments for social insurance, as result of the state favorable policies. Work history benefit, where periods for which contributions are paid is recognized as work history in working relation with the state. Documents and procedures for insurance as self-employed in agriculture. – In any case, for the insurance periods of the current year and for previous periods, will be presented a certificate issued by the commune, which states that the person exercises, agricultural / livestock. Inspector of the self-employed in agriculture, after judging the fulfilment of the requirements for insurance as self-employed in agriculture fills the document type “Execution Order”. To make the payment, this document is presented to the post office or the bank office. After the payment the post office releases the document “receipt”, while by paying in the bank office is released the document “cash receipt” which confirms the payment. With the “receipt” or “cash receipt” the person is presented for registration at the insurance inspector for the self-employed in agriculture, where he/she has received the “Execution Order”. This documents should not, whatsoever, be given to the social insurance employees. Those are personal. At the end of the procedure the social insurance contribution’s payment is issued the compulsory contributions booklet of social insurance and health care. In highlands there are included the self-employed in agriculture, those who live and have their activity in Bulqizë, Dibër, Gramsh, Has, Kolonjë, Kukës, Librazhd, Malësi e Madhe, Mat, Mirditë, Pukë, Skrapar, Tepelenë and Tropojë. In the lowlands there are included the self-employed in agriculture that live and have their activity in the regions of Berat, Kuçovë, Durrës, Krujë, Elbasan, Peqin, Fier, Lushnjë, Mallakastër, Gjirokastër, Përmet, Korçë, Pogradec, Devoll, Lezhë, Laç, Shkodër, Tiranë, Kavajë, Vlorë, Sarandë and Delvinë.